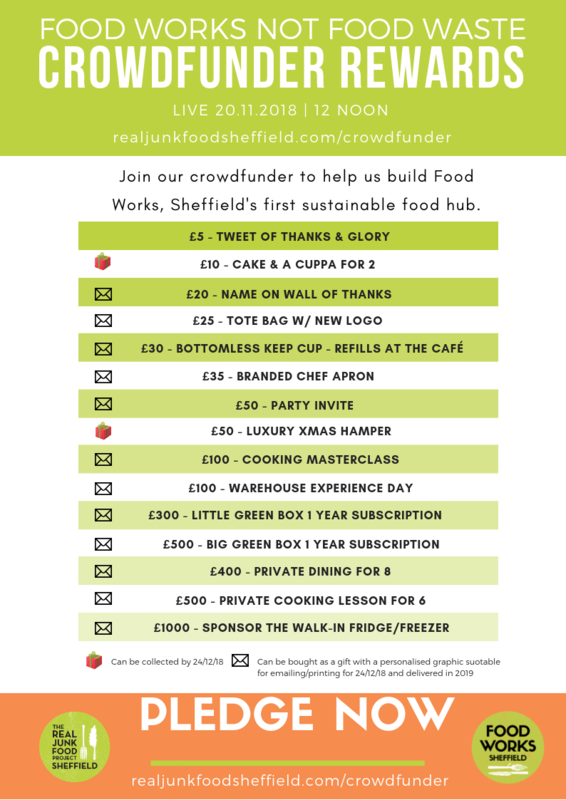 On top of that we’ll continue the fantastic work we already do at The Real Junk Food Project Sheffield under a new, shorter name with a much bigger mission. Crowdfunder.co.uk is a fundraising platform that works by supporters pledging or donating to our cause. If you choose to pledge you can pick a reward! We’ve created a fantastic selection from £5 upwards including Christmas hampers and gifts, cooking classes and corporate reward packages. 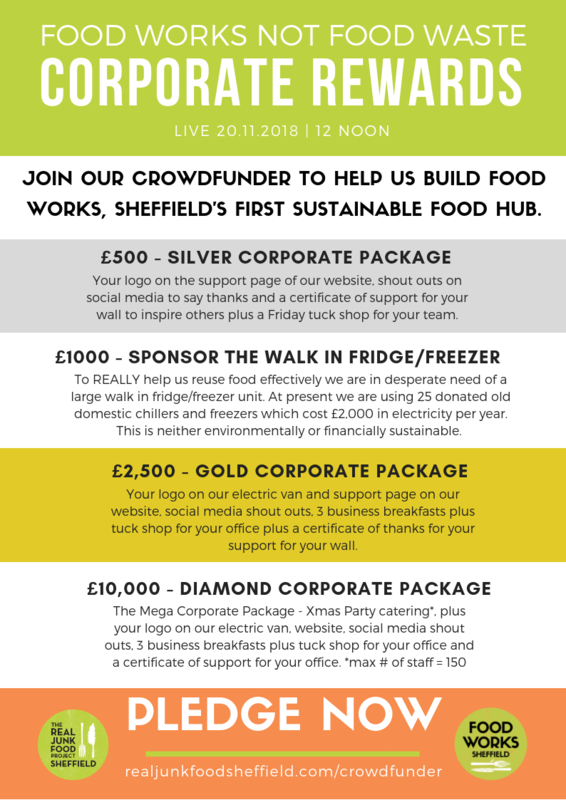 Remeber to share the campaign far and wide so we can really put a stop to food waste in Sheffield!